In this episode of the “Classical Classroom” podcast, host Dacia Clay interviews Hugh Sung, who is a modern classical music renaissance man: He’s a podcaster, a techie, a pianist who’s collaborated with people like Jennifer Higdon and Hillary Hahn, an author, an inventor, a former Curtis Institute Professor who now teaches online. 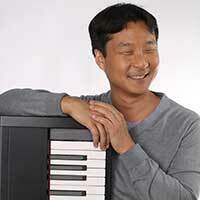 Sung has crafted a life — and a career — that keeps him close to his passion and that constantly engages his busy mind. In this MusicWorks episode, learn how and why Hugh does it, and be inspired to create your own Musical Life.